South Africa improves its global competitiveness ranking to 50th in the World Economic Forum's Global Competitiveness Report for the year 2011/12, after slipping to 54th in 2010 / 2011. In 2012/2013, the country maintained it's position as the best place in the world to get business credit. It was also the 10th best country in investor protection. The country's strengths lie in its outstanding performance in financial market development, the accountability of private institutions and the effectiveness of its competition policies. The World Bank's Doing Business Report 2012 has also set the country's rankings to 35th from a revised 36th in 2011. The best improvement was recorded with regard to the ease of starting a business, a result of the introduction of the new Companies Act which has simplified the company registration procedure. Advocacy and lobbying for investor incentives; and Idyllic climate. Long, traditional ties have been developed with South Africa's top trading partners and other important focus markets, with double taxation agreements and memoranda of understanding signed with various countries. Growing increasingly important as a trading partner of the European Union, South Africa is additionally a full member of the World Trade Organisation, while strong political and economic links within the African continent and membership of the Southern African Development Community offer trading opportunities within southern Africa. 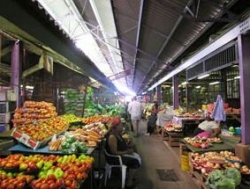 Companies locating in South Africa not only have the opportunity to source their inputs at very competitive prices but often have a domestic market for their products and services. Investors can use South Africa and particularly KwaZulu-Natal with its excellent infrastructure and logistics mechanisms as a gateway to take products and services to the rest of Africa. The African Growth and Opportunity Act provides potentially huge opportunities for a variety of the country's economic sectors, from manufacturing to agriculture, to access the enormous US consumer market on a duty and quota-free basis on approved products, for a period extended to 2015. Negotiations are in progress between the five-nation Southern African Customs Union and the four-country European Free Trade Association. A proposed US/Sacu agreement was also finalised in 2004, with both of these covering the entire range of trade and trade-related issues (including market access, tariff and non-tariff barriers, intellectual property rights, investment, competition and government procurement). The comprehensive US/Sacu free trade agreement is the second most significant trade relationship exercise after Agoa between the US and African countries, increasing the number of products that Sacu members can export to the US market. With a more balanced and equitable Sacu pact having already been signed by leaders of member states towards the end of 2002, the International Trade Administration Commission now oversees implementation of the Sacu agreement as well as other multilateral and bilateral trade agreements. Exporting a range of products and services to a diversity of markets, South African trade has weathered adverse international conditions fairly well. With specific trade and investment requirements being met, the country has fast become one of the most popular trade destinations.